So, you’re in charge of planning a baby shower. Great! We’d love to help! Need theme ideas? We’ve got you covered. When you’ve done as many showers as we have, you’re bound to have some tricks up your sleeve. As you can see by looking through the gallery below, there are a lot of cakes in our standard repertoire. If you like something that you see there, you can simply order it. You can also use a cake from the gallery as a starting place and then customize it to make it your own. Perhaps you already have an idea or a theme of your own and you want a custom creation. You can do that too. All of the cakes in the gallery were somebody’s idea once. We’re happy to help you develop a design of your own. There’s no charge for our standard decorations. We’re happy to add those where you like. We’ll do our best to match the color and theme of your invitations or other favors. If you want to go above and beyond our standard decorations, we can create custom fondant or sugar decorations just for you. There is an extra charge for these, but nothing sets off your unique theme like one-of-a-kind custom decorations and favors. As with any occasion, cake is available with options. You can order cakes of various sizes and shapes, cupcakes, or cake pops. Often, the final order is the perfect mixture of multiple items for a show-stopping dessert display that will have your guests talking about your party for years. Decadent brownies add a chocolate touch for some extra rich fun and decorated pretzels offer a splash of color and sprinkles. Use any combination of these delicious options to craft a memorable experience and you’ll be the shower guru in no time. 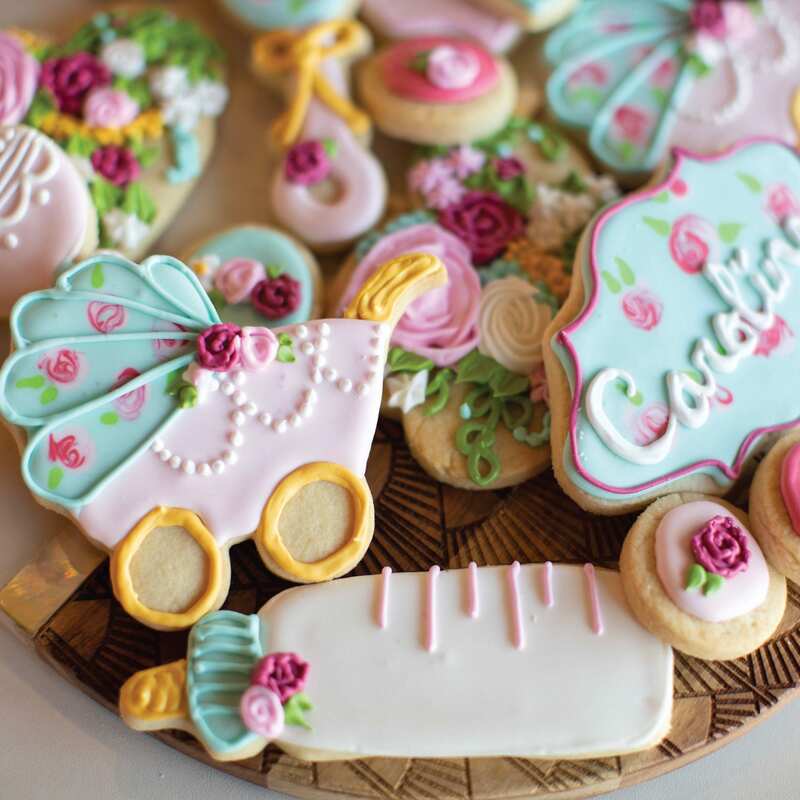 Gender Reveal items are all the rage these days and we love to be part of the fun. If you plan to reveal the baby’s gender at the party, there are literally dozens of ways to do it. From the color of cake to the color of icing to the decorations on top or inside, you’ll love all the playful options for letting the cat out of the bag. And your friends and family will enjoy finding out at the party! Call: 513-984-1100 or Click Here to use our online Order Form.